Hey look, a TF2 article! 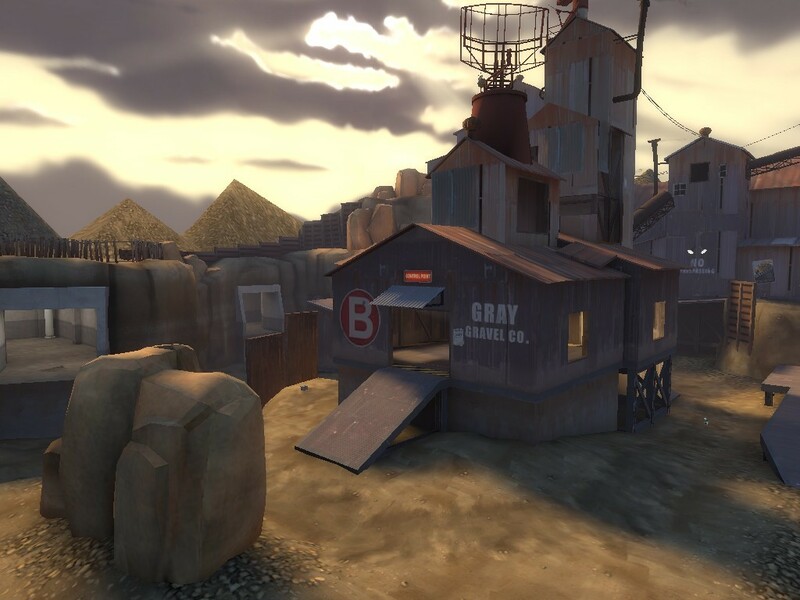 As a longstanding and proud member of the first-person-shooter genre, TF2 nevertheless stands apart from most other games due to its versatile array of weapon designs and its avoidance of most of the common shooting mechanics that permeate shooter games. TF2 is really amazing in just how simple they keep the core combat at its foundation, avoiding things like weapon stability, accuracy modifiers, tactical reloads, and other ‘realistic’ mechanics that complicate matters. This article is designed to showcase the few cases where these mechanics appeared, usually in subtle form. The scarcity of their presence just reinforces how different TF2 really is from its peers. 1. Weapon recoil: In many shooters, firing your weapon will cause your crosshair to pull itself away from where you were aiming. The ability to “control your spread” separates a good player from a bad one, and is almost mandatory for getting the most out of certain weapons like CS:GO’s AK47 or McCree’s fan-the-hammer. In TF2, this isn’t really a thing and your crosshair will stay comfortably in the center of the screen even if the bullets themselves lose accuracy over time. Except for on the Panic Attack. 2. Dynamic Crosshair: In that vein, many shooters will manipulate the weapon crosshair to clue the player into how accurate their weapon spread currently is. This usually takes the form of the crosshair growing larger while firing, jumping or running, and simulates a reduction in accuracy. The Ambassador is the only gun in TF2 that demonstrates this behavior, possibly because it’s the only non-sniper primary that can headshot (though it doesn’t have bullet penetration, sniper rifles are the only weapons in TF2 that get that). 4. Shared Ammo Pool: Many games use classifications of ammo rather than giving every gun in your inventory its own pool. For example, every gun in TF2’s predecessor Team Fortress Classic uses either shells, nails, rockets, or cells; if your class carried two shotguns, they’d have to share your pool of shells. Only once has TF2 ventured into this territory; the Shortstop on release would share the ammo pool of the pistol if the Scout chose to keep his pistol equipped. I suspect Valve’s motivation for doing this was to encourage scouts to use a drinkable secondary due to the Shortstop serving as a hybrid mid-range weapon and coming out with the Milkman Set. It also created an odd niche for the otherwise-useless Winger since the Winger would only waste 5 of your precious bullets every magazine. Either way, that mechanic is long gone due to the many, many rebalances of the poor shortstop. You don’t want to know how long it took me to find a video showcasing the shared ammo pool mechanic.